Same-store sales at U.S. retailers grew by 6.5 percent for the week ended Sept. 1, their fastest growth pace in 13 years, according to Econoday's Redbook. This is 1.4 percentage points stronger than the previous week's growth rate. 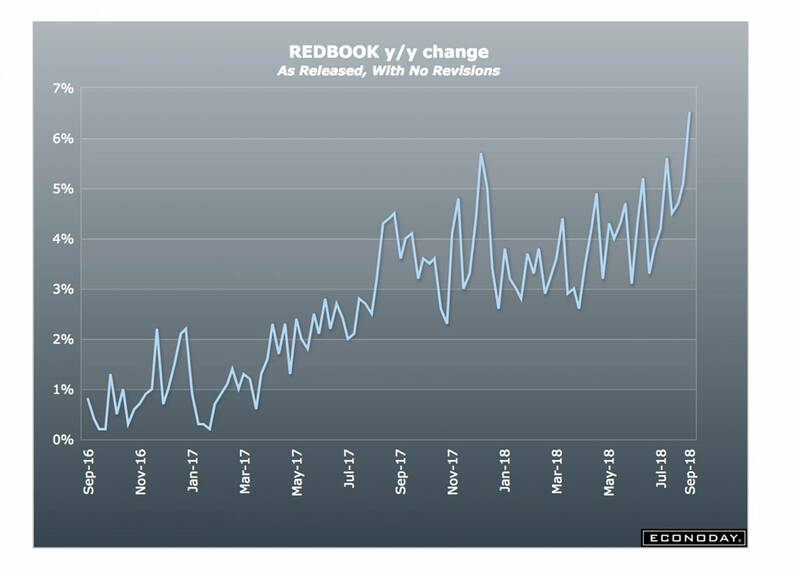 On a month-to-date basis, sales versus the prior month were up by 0.4 percent, according to Redbook, while the full-month year-on-year gain widened by four-tenths of a percentage point, to 5.2 percent — the strongest reading for that comparison this year.